In mobile communication iPhone is gadget which has many applications other than making calls and sending texts. Stock checking is an important application of iPhone. This application is very much useful for those who have to check the stocks prices frequently and have to gather information regarding financial status. The iPhone’s stock application can download the stock market prices and indices from Wall Street and from other stock exchanges from any part of the world. Here in this article explains about the process of stock checking in one’s iPhone. The method is as follows; the iPhone’s opening page has an icon which is a stock graph. The icon is used for stock application. Click on the icon to start the stock application. As soon the stock application has been launched, you can find the information button which is denoted by an “i”. Clicking this button will open a personalized page which contains the stock lists which you are about to track. The stock listings can be arranged by moving them up or down; for this you can to press and hold right edge of the list item and then drag. In case there is an empty list we can use the plus symbol to search the companies’ stocks symbols. By clicking the company name we can add them to the tracked stocks list. If the tracked stocks are present in the list, you can obtain more data about those individual items by clicking on the title boxes of the stocks. 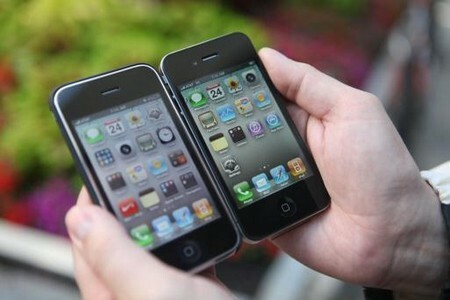 The iPhone will display the latest prices on the screen by downloading them. The over describing the performance of the stock over a period is shown at the screen bottom. This information can be viewed as raw data or as percentage figures. This view can be obtained by clicking on them and the data will switch to either type. In case we have an old stock or a stock which we don’t wish to watch we can remove it from the tracking list. Clearing them from the list helps in easy tracking of other stocks. For this we have to click the information button and then click on the red button near by the stock names which we wish to remove. The time period of the individual stock can be adjusted to any value form a single day to two even two years. This done by clicking on the particular stock. The user-friendly nature of an iPhone has been clearly described in the stock application. By simply clicking we can obtain many data related to stock exchanges. Hence with iPhone the stock prices a just a click away.